John-Andrew's musical education began on the East Coast, in the cultural smorgasbord that is New York City, where he was exposed to all kinds of music — rock, classical and jazz. He studied classical piano and composition, and began writing in various genres, including progressive melodic rock. John began his performing career leading original rock and jazz-rock bands in the New York City area, and then moved to Southern California where he continued playing original music through the 1980s. 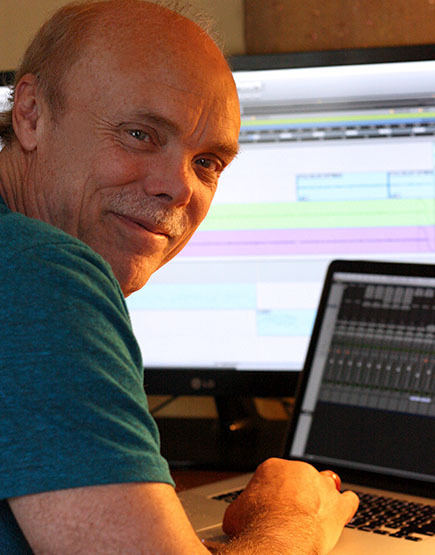 John-Andrew worked with Kenny Loggins’ production team in Santa Barbara in the early 1990s, and then turned his attention and talents more fully on composing and songwriting. In 2012 Magic Carpet Music was created as a music library resource for music supervisors, comprised of many hundreds of original compositions in a very wide range of styles and genres. Regarding the piece Dawn Rider, a theme for a New England film festival, screenwriter, Tim Dorian comments: “Dawn Rider is an absolutely fantastic composition. This really is something beyond special. I’d want to use it in an upcoming film.” Compositions have been used for videos, ambient music in retail venues, special events and films. 5John-Andrew has been collaborating recently with various artists on Latin, African and Middle-Eastern influenced music, and has also been writing a number of pop/dance, hip-hop and EDM tunes, some of which have incorporated elements of those genres.